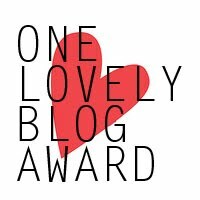 Elfkat, from Adventures and Musings of a Hedgewitch, and Morgana Rose, from Notes From the Broomcloset, awarded me with the “One Lovely Blog Award!” I’m so very grateful to them both and am so glad that I inspire them. Please check out their blogs. They both have some wonderful content – photos, thoughts on their respective paths, and some how-to’s. They are also not afraid to share their life experiences and honest emotions. You have got to respect that in people. Now I’m not the biggest fan of memes. I kind of got over that early in college… but I hope my readers forgive me for participating in these. These are a bit more than a meme in my opinion. A fellow blogger extends a bit of love. In Druidism, as I was explaining to my study group Saturday, reciprocity is very important. I have to give back in some way. If giving back means answering some questions, then I’m fine with that. If it means picking some other blogs that, in turn, inspire me? Why not? Let’s share the love. We all want to feel good about our work, after all. Ok. Seven things about me. Seven new things that I’ve never discussed here before. I hope. Wouldn’t want to bore you. When I was a child, after taking a bath, I fell asleep naked on the couch. I had a blanket on me, and my neutered male cat, Muffin, crawled up under the blanket. When I woke up, I was worried I was pregnant with cat babies. I liked to pretend I was a squirrel. I even ran around on all fours. All the other kids on the playground thought I was straaaaaange. I was obsessed with The Lion King. In fourth grade, I was determined to write a sequel. When I did, I wanted to turn it into a play. I forced encouraged my friends to take different parts and we rehearsed during recess. All the other kids on the playground thought I was straaaaaaaange. I met my first boyfriend through an online RPG based on the Redwall books. He’s from England. Our characters were anthropomorphic cats. I have a small collection of gargoyle figurines. I met my husband at a Halloween party. He was dressed as a Rastafarian. I don’t think we spoke a single word to each other at the party except for “hi” and “nice to meet you.” It took us awhile to break the ice. When it comes to food, hubby and I have realized that he’s more of the baker while I’m the chef. I love making healthy meals and often take a “little of this, little of that” attitude towards it most of the time. I’m very experimental. Weretoad, on the other hand, loves the chemistry of baking. I feel very lucky to have a man who makes cookies! Here are three blogs that I’m nominating for the award. I consider them fellow seekers and reading their blogs helps me remember I’m not alone in my exploration! Grey Wren’s Flight – This gal is just getting into ADF and I love reading her blog because it reminds me of why I joined. Her enthusiasm as she grows and discovers new things about herself and Druidism are catching! Also, we have a lot in common – she’s doing Couch to 5K, for example! Grey Wren also happens to be one of my ADF mentees. I love how she’s utilizing her blog to share her DP essays. She’s not limiting herself just to my feedback which is good for learning about different perspectives! I’m really proud of her! Mystical Bewilderment – This blogger focuses on a plethora of subjects such as Kemetics, Voodoo, hard polytheism, and magic. She isn’t afraid to share her most intimate experiences – whether they are success, failures, or just plain confusing to her! I can really relate to her as someone who is learning and willing to admit that. I look forward to each update. I really learn a lot from her about subjects I don’t know much about. The Itch to Stitch – Fellow Pagan and artisan, this lady’s blog focuses mostly on her art of cross stitch. She’s shared some other work – her drawings and paintings. All of it is just amazing. She really inspires me to go to my art room! EDIT: The Red Lass also nominated me for this award! Her words were very touching – and I love that she enjoys my dolls and plushies! Thank you!